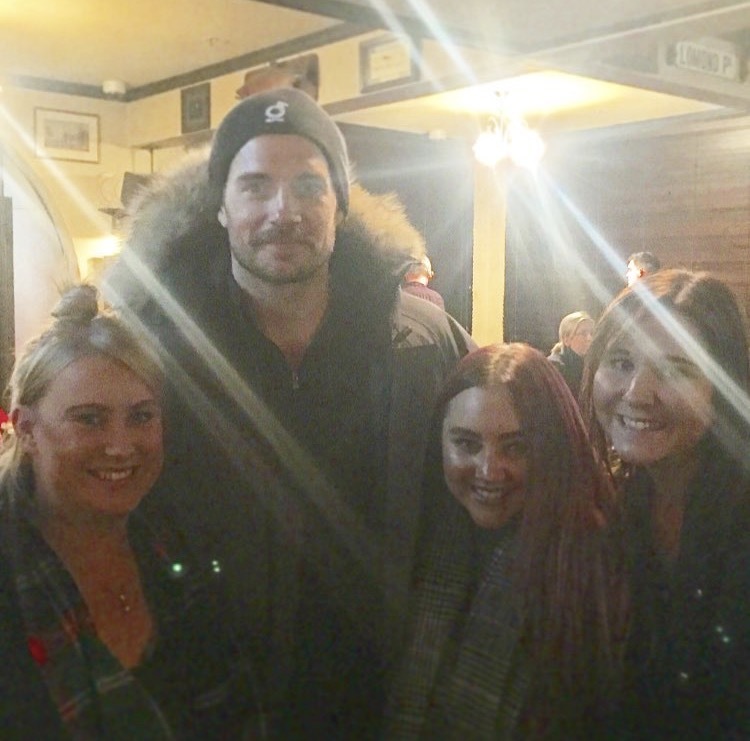 "Soooooo just met superman #superman #celebrity #henrycavill #queenstown #newzealand #ourlife #yes #beaut"
Sammii and her friends met Henry while out and about in Queenstown this weekend, and look at him repping Durrell! (don't miss his latest Cavill Conservation post). Mission: Impossible 6 is filming in the area through sometime next month, and people have been running into him. Tom Cruise and Simon Pegg have also been seen around town. Thanks for sharing your photos everyone. Look for production news from New Zealand as we get it. Wow. Even with a mustache and being as far away as New Zealand, chicks recognize him as Superman! thanks for sharing everyone! Henry's looking handsome as always! looks like it's a bit chilly in NZ!!! Lovely happy smiles! He's so sweet. I watched that documentary film and also read the message posted by him. It's so appealing. The Durrell team are doing good work. I'm confident, the pygmy hog has been saved from going extinct. Just feel like thanking Henry, for being such a good ambassador. Love and kisses, D.
Hey chicas, a que huele Henry??? Alguien puede describir si pueden identificar que loción usa. Hey girls, what does Henry smell like? Can someone describe if you can and identify what lotion is used. I love how everyone tags him True Gent, it must be true.